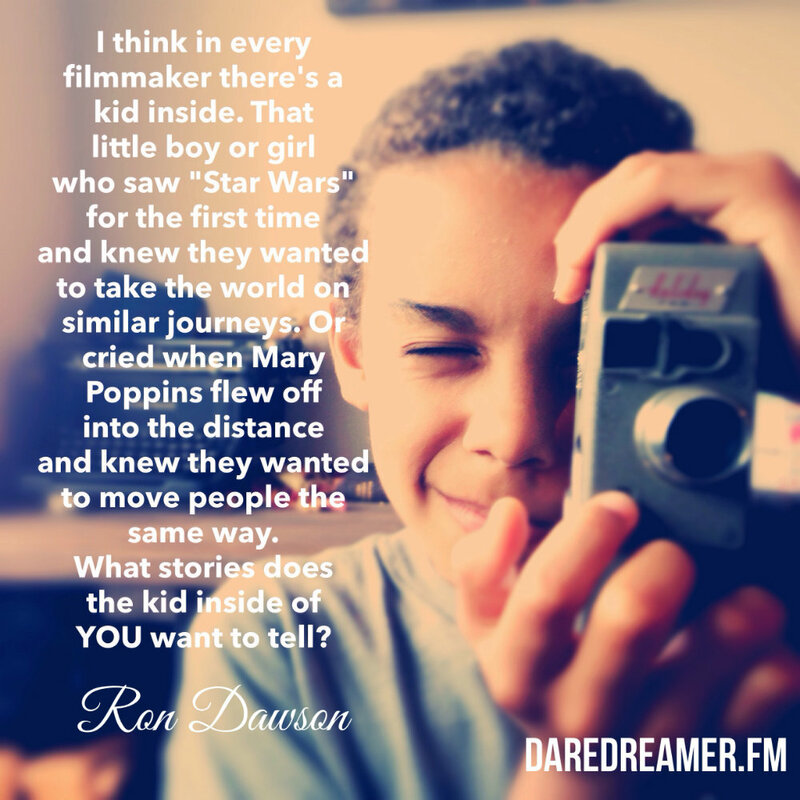 “I think in every filmmaker there’s a kid inside. That little boy or girl who saw “Star Wars” for the first time and knew they wanted to take the world on similar journeys. Or cried when Mary Poppins flew off into the distance and knew they wanted to move people the same way. We’re coming out with a new show that explores the life and dreams of filmmakers in a unique and engaging way. YOU will be as much a part of the journey as I will. Tell us about the first time you knew you wanted to tell a story with motion pictures. If we use your story on the show, you’ll get a $20 gift card for the new Dare Dreamer Mag store. Leave a voice message for fill out the form below. Congrats on working on the new show, I was a fan of Crossing the 180 podcast and it is great to hear that you’re bringing some insights into the industry again. As like a lot of us, I’m pretty much still that kid inside that was inspired by Star Wars in my early teens. Thanks for the kind words Bernard. It’s reassuring and encouraging to hear fans of the old show. It means a lot. We definitely have something special planned with this one. I hope people like it.